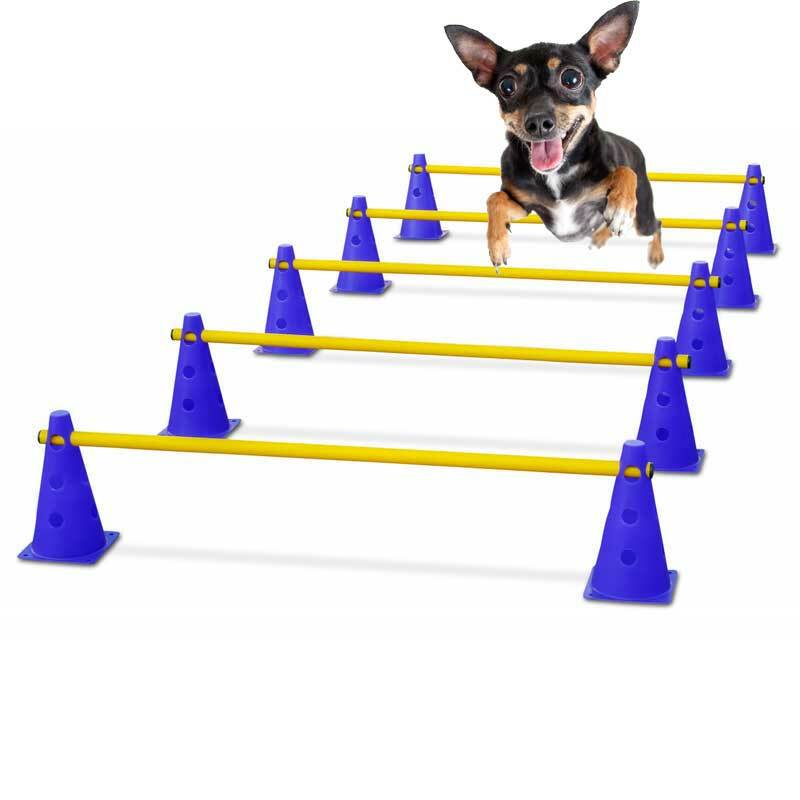 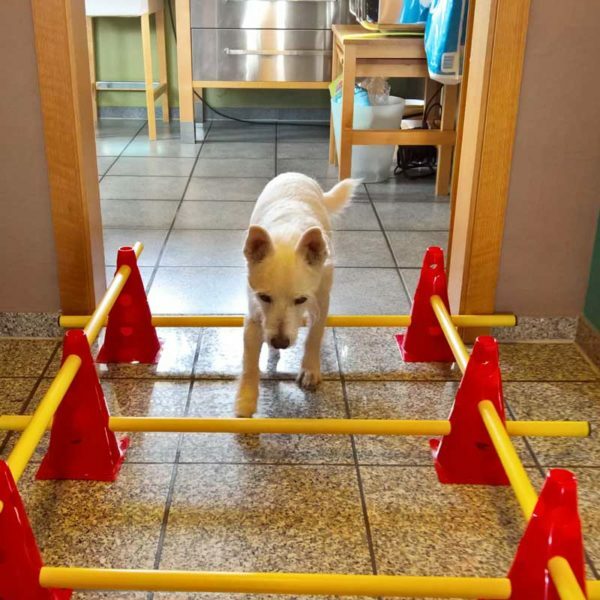 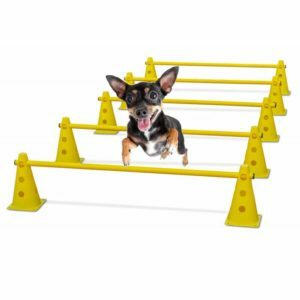 Versatile adjustable agility hurdles for exercise therapy for dogs with osteoarthritis. 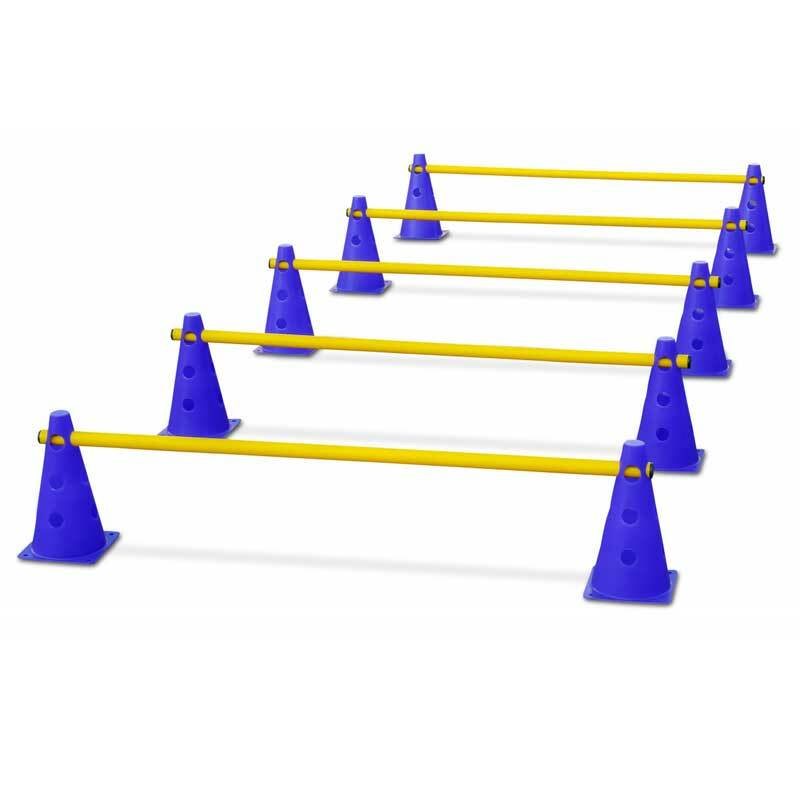 Cones, each with four holes at three heights, offer countless possibilities to combine the hurdles for individual training requirements. 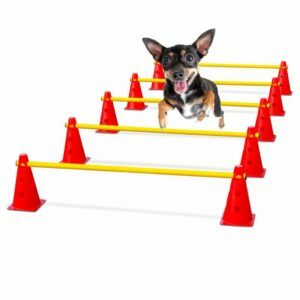 Light and space-saving, fits in every car. Each set contains five 100 cm poles and ten 23 cm cones. 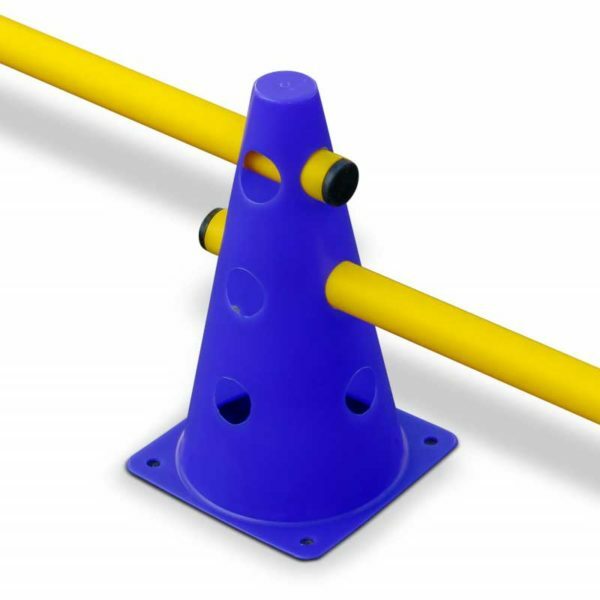 The upper hole edges are 8 cm, 14 cm and 20 cm. 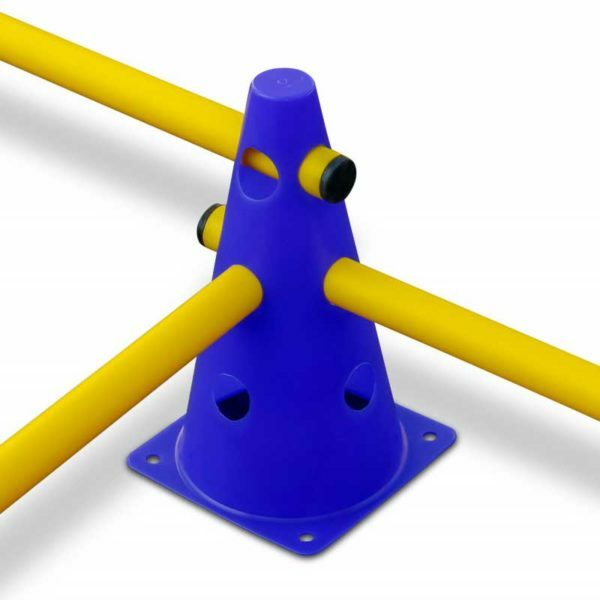 Breakproof durable plastic cones with light resistant colors.